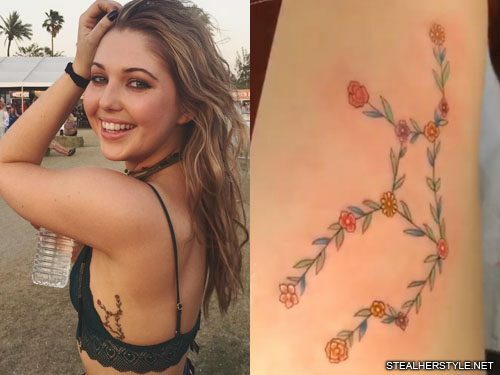 Julia Michaels has four gemstones tattooed on her right arm as a tribute to her fans, who she calls “Little Gems.” The most prominent is a heart-shaped pink jewel below her shoulder. 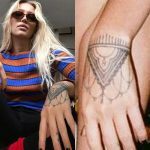 There’s also a blue diamond on the outside of her elbow, a round amber stone inside her elbow, and a dark blue rhombus on the side of her wrist. 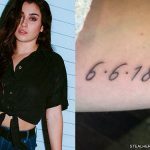 All four gems were inked by artist London Reese in July 2018. 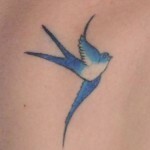 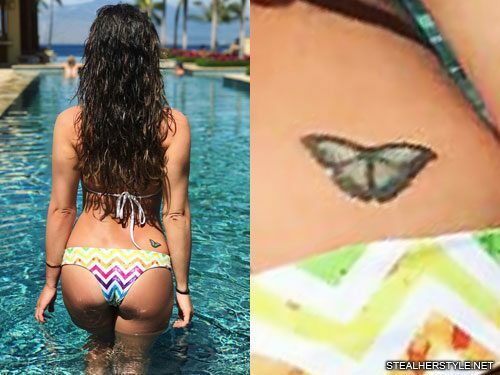 Lea Michele has a blue butterfly tattoo on the right side of her lower back. 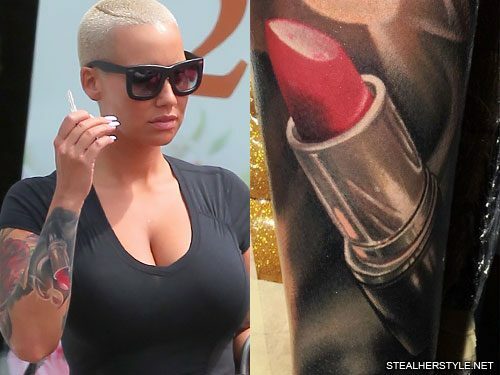 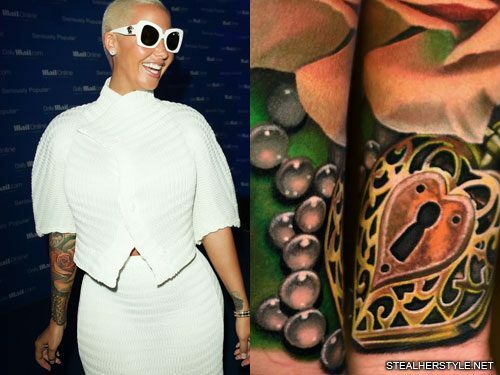 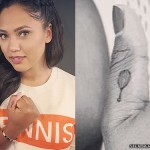 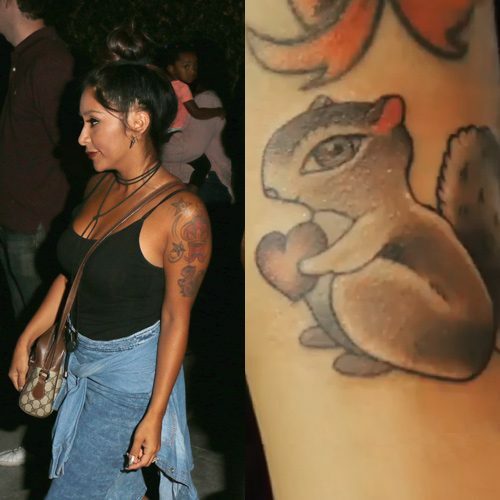 She got this tattoo with her mother back in 2003. 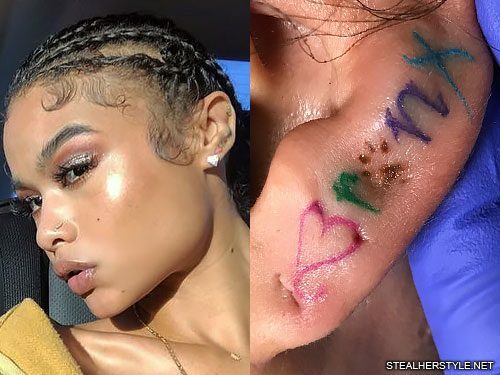 India Westbrooks got her dog’s name “Bronx” tattooed along the edge of her left ear in September 2017. 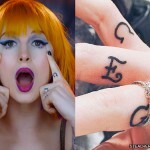 Each letter is a different color and two of the letters are replaced by symbols: the “B” is a heart to show her love for the micro poodle pup and the “O” is a paw print.